Fenugreek is used both as a herb (the leaves) and as a spice (the seed) Fenugreek plant is a quick growing annual leguminous herb. Leaves are light green in color. Plant stems are long and slender. Fenugreek leaves are tripartite, toothed, grey-green obovate leaves, 20-25 mm long. Fenugreek plant blooms white flowers in the summer. Fenugreek seed pods contain ten to twenty small, flat, yellow-brown, pungent, aromatic seeds. 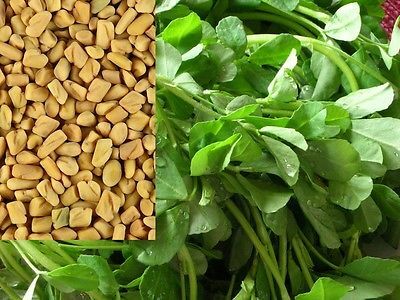 Fenugreek seeds are small and stony; about 1/8 inch long, oblong, rhomboidal, with a deep furrow dividing them into two unequal lobes. Fenugreek seeds have a strong aroma and bitter in taste. Plants mature in about four months. The whole plant is uprooted and allowed to dry. The seeds are threshed out and further dried.